This one has to be on our list because a visit to Disneyland wouldn’t be complete until you’ve had your photo taken in front of the iconic Sleeping Beauty Castle. The stunning castle acts as the park’s centrepiece and is famous all over the world. To make your selfie even better, we’d suggest picking up a pair of Minnie Mouse ears! Afterwards, step inside the castle and relive the classic tale of Sleeping Beauty through an interactive 3D display. Back in 2017, the iconic Tower of Terror attraction received an epic transformation, turning it into an all-new ride inspired by the Guardians of the Galaxy! 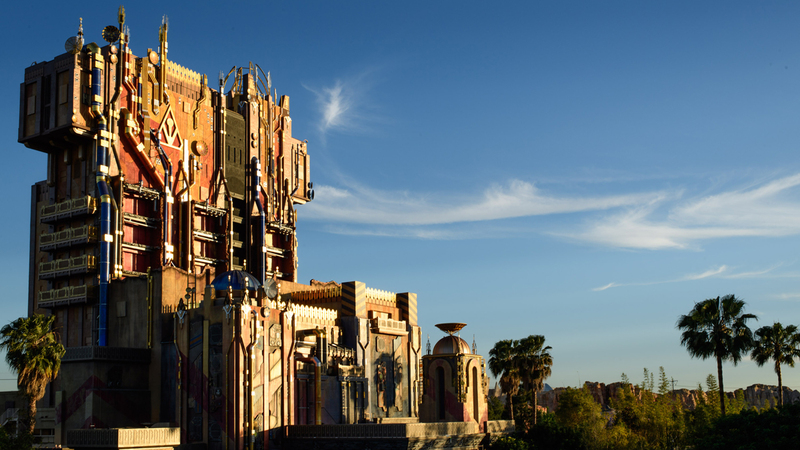 If you like to think of yourself as a bit of a thrill seeker, Guardians of the Galaxy- Mission: BREAKOUT! is for you. 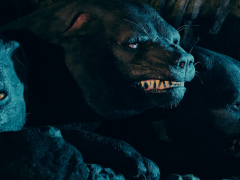 The Guardians gang are being held captive by the evil Collector in his eerie fortress, and it’s down to you to help save them! Don’t worry though, you’ll have mischievous raccoon Rocket on your side. Prepare to plummet 13 storeys as you’re plunged into total darkness and feel your heart race as the sound of Star Lord’s mixtape hits blast through the speakers. Once you’ve conquered Guardians of the Galaxy- Mission: BREAKOUT! join the gang for an incredible dance off in Hollywood Land. 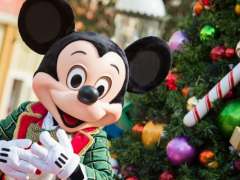 No matter what age, there’s nothing like meeting your childhood heroes, and at Disneyland, you can get up close to your favourite Disney characters. Make sure you bring along an autograph book and camera, so you can take lots of pictures. 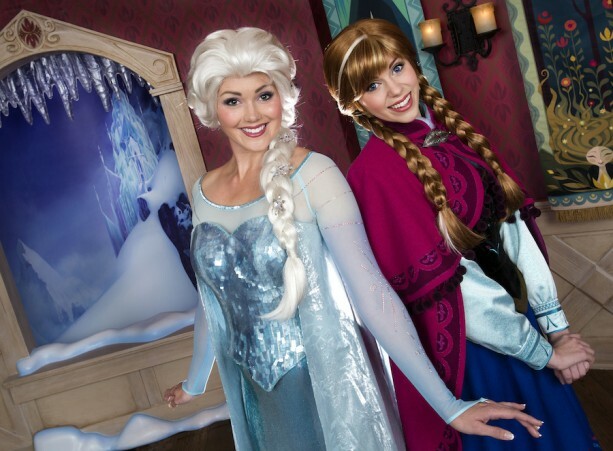 At the Disneyland Park you can expect to meet plenty of princesses like Cinderella, Sleeping Beauty and Ariel at Royal Hall. 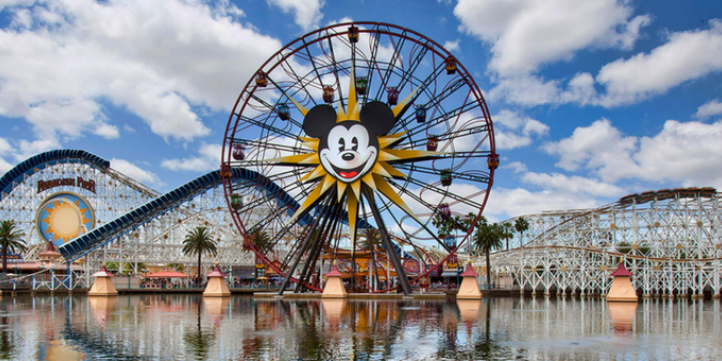 Over at the Disney California Adventure Park, you can meet heroes like Spider-Man and the Guardians of the Galaxy, as well as Disney Royalty like Anna and Elsa, and of course- Mickey Mouse. Pixar Pier may not be open yet, but we can’t wait to see what it’s like! If you haven’t heard much about it, Pixar Pier will be a new area that will totally transform the southern shore of Paradise Bay. You can probably tell from the name, that the area will be inspired by classic Pixar stories, and will feature some very familiar faces. 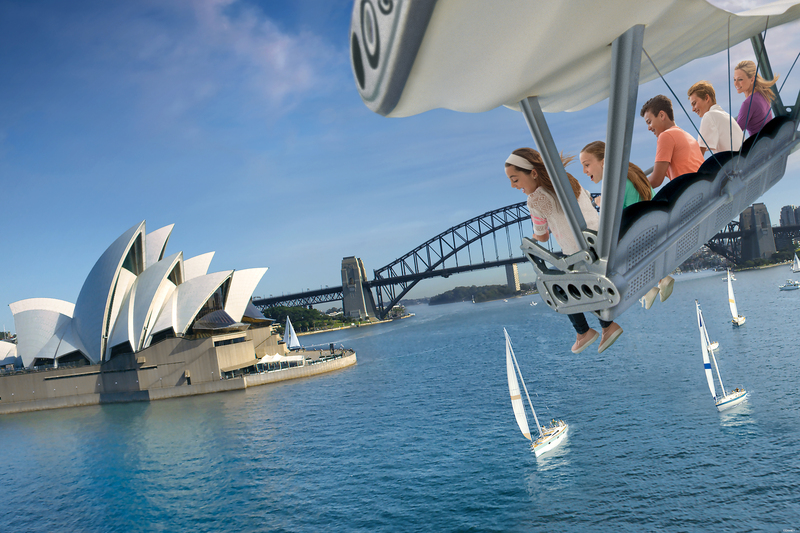 There will be four themed lands in total, including neighbourhoods inspired by the Incredibles, Toy Story and Inside Out, as well as an entire land dedicated to several of the iconic Pixar stories. There will also be exciting new attractions like the Incredicoaster to look forward to. 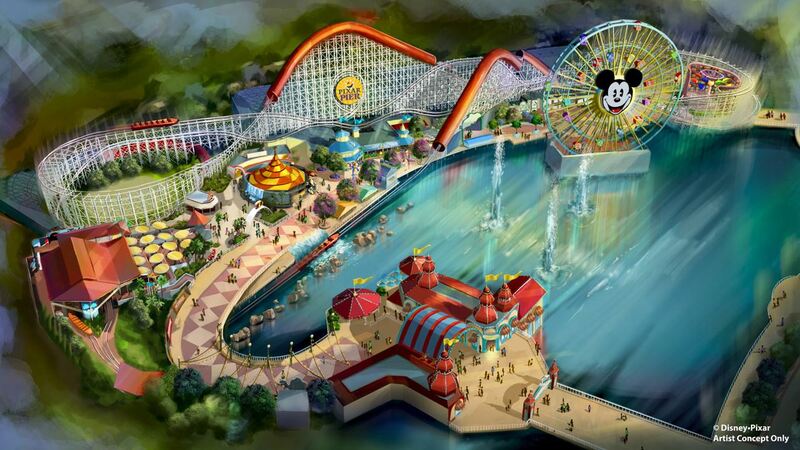 The good news is, there’s not too long to wait, as Pixar Pier will officially be unveiled summer 2018! Or as many as you can fit in! With so many amazing attractions to experience, it can be hard to know where to start. Our top tip for visiting the parks is to arrive early, so that you can avoid the queues and get straight onto the most popular rides. Space Mountain, Splash Mountain, The Haunted Mansion, Pirates of the Caribbean, Soarin’ Around the World and It’s a Small World, are just some of the resort’s top attractions. Although be warned, the latter will leave you singing along to ‘It’s a Small World’ for hours! If you want to experience a true piece of Disneyland history, make sure you try out some of the opening day attractions like Peter Pan’s Flight and Mad Tea Party- these have been running ever since the park’s gates first opened. The perfect way to end the day at Disneyland is by watching one of the incredible night-time spectaculars. Disney really do know how to put on a show, and any one of them is guaranteed to put a smile on your face. Fantasmic is not only a must-see, but also one of our favourites. 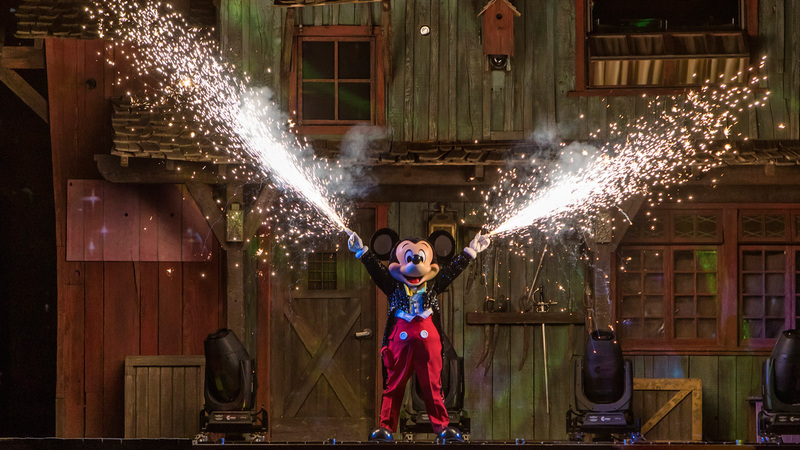 The stunning show, delves into one of the weird and wonderful dreams of Mickey Mouse. There’s music, special effects, dancing water fountains and dazzling fireworks, as well as plenty of familiar faces! We also love the breath-taking World of Colour show at Disney’s California Adventure Park. This show will have you mesmerised from start to finish, thanks to its huge ‘water screen’. 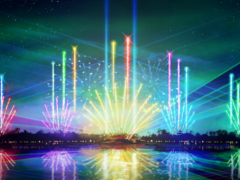 To create the screen, more than 1,200 fountains shoot water an incredible 200-feet into the air, while light projection technology portrays scenes from classic Disney movies onto the water, and colourful fireworks soar into the sky. Make sure you check the full show schedule when you arrive so that you don’t miss out. 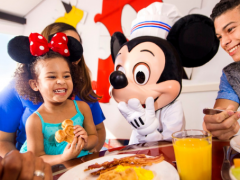 Mickey waffles, dole whips, ice cream, churros- with so much to choose from it can be hard to know where to start! 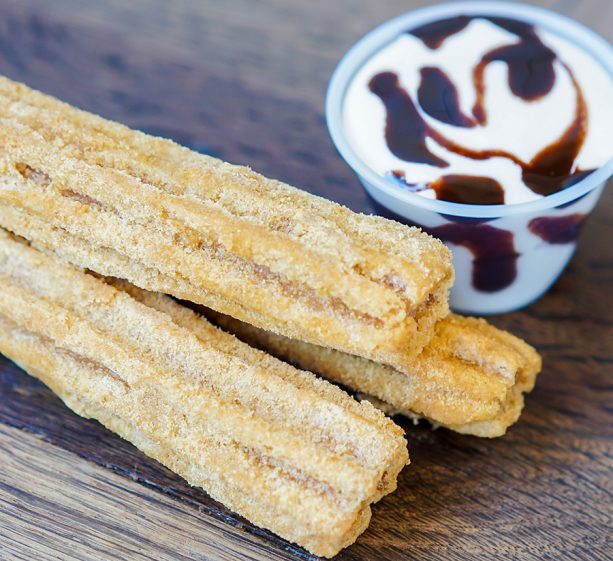 One thing's for sure, if you’ve got a serious sweet tooth, you’re going to be in your element. There are some Disney snacks that are almost as famous as the rides, and we’d recommend trying as many as possible! Ready to experience the Disney magic? 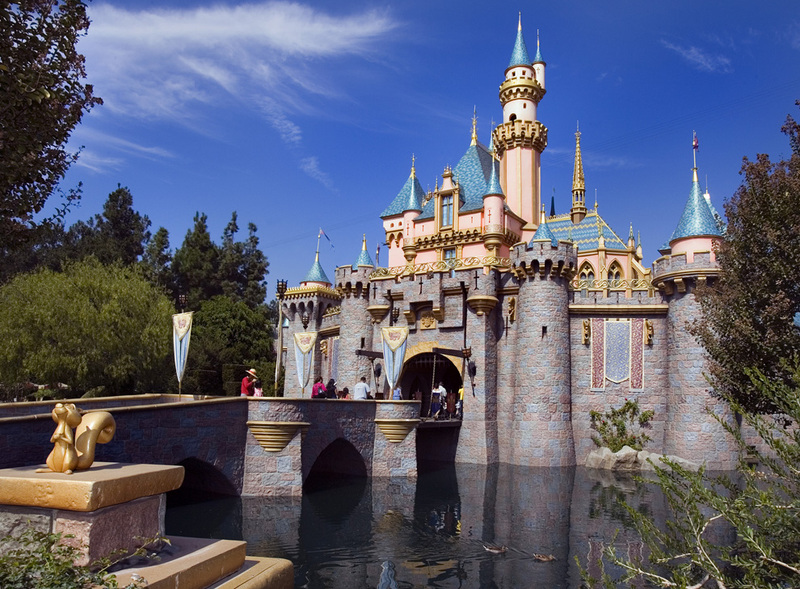 Click here, to view our range of Disneyland California tickets.